The house of the future is here now. 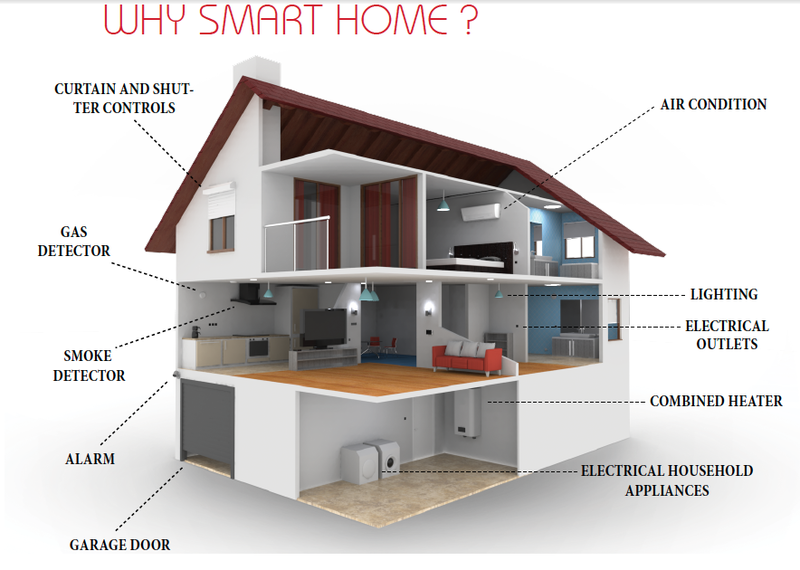 Rapid advances in technology see smart homes popularity increasing. From anywhere in the World, you can manage your villa or apartment. A home equipped with security systems, lighting, heating, and electronic devices that can be controlled remotely by smartphone or computer. Wherever you are on the World you can ensure your home is secure. "You can contact your smart home on the Internet to make sure the dinner is cooked, the central heating is on, the curtains are drawn, and a gas fire is roaring in the grate when you get home"
Smart security lighting – The lights keep shinning bright if there is a power cut, they will turn on automatically when they hear your doorbell or alarm and even replay your typical lighting patterns when your not home. Smart Deadbolt locks - Keys are so 20th century. A smart deadbolt lock offers security and flexibility, letting you control access to your home with your phone. Indoor nest cam – They offer constant live streaming from your home with built in motion and sound alerts. Smart flood sensor – A water sensor linked to your smart phone sending your phone notifications. Get smart lighting – just for fun, colour changing smart bulbs that can connect to your speakers via wireless technology correlating with the mood of the music. Smart homes present some very exciting opportunities to change the way we live and work, and to reduce energy consumption at the same time.